Maybe you are seeking what truly fulfills? Perhaps you were baptized in another Christian tradition, or baptized Catholic but never celebrated the Sacraments of Confirmation and Eucharist? Or, you plan to marry a Catholic and want to learn more about their beliefs and way of living? 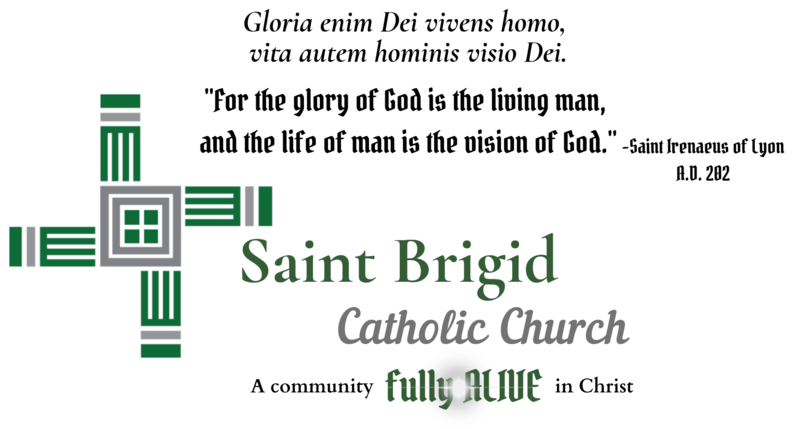 Saint Brigid Catholic Church will walk with you as we explore our Catholic Faith in the Rite of Christian Initiation for Adults (RCIA). Let us walk together, as our Lord walked with the disciples on the road to Emmaus, to discern where God is calling you, and help you with your response. You will be welcomed into full communion with the Catholic Church at the Easter Vigil Mass (the Saturday evening before Easter). Unsure? Have questions? Doubts? Struggling with something? That’s ok! 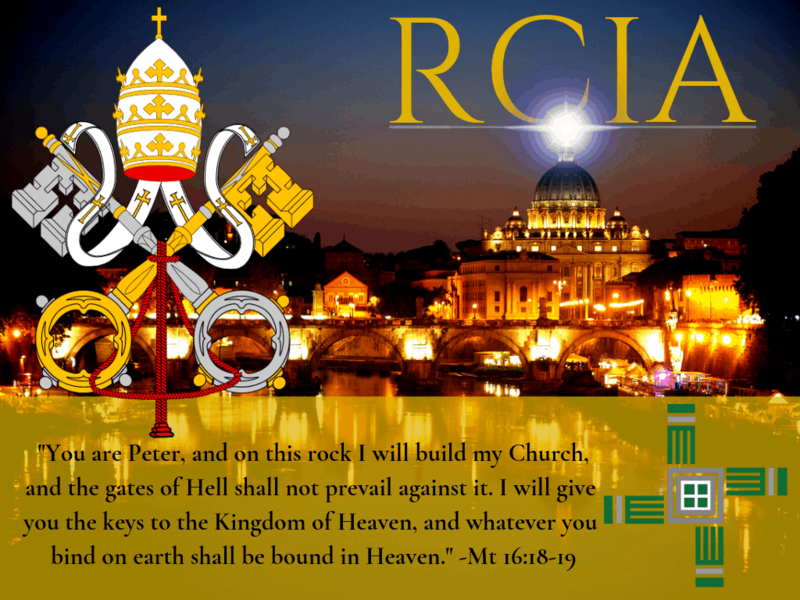 For more information on RCIA, please contact Anne Marie Graham at 989-835-7121 ext. 53. Enjoy this free gift of Formed.org in your family! 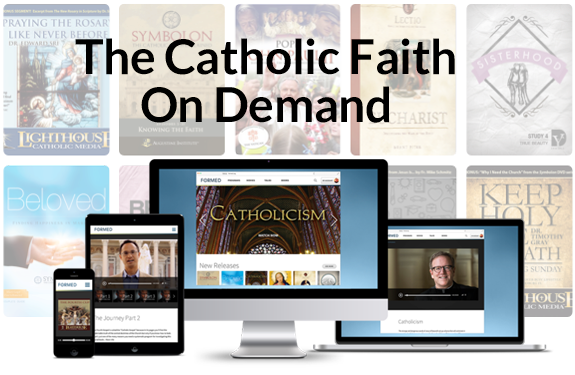 It’s like Netflix, iTunes, and The Great Courses, but Catholic! 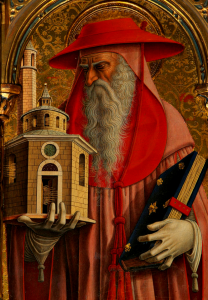 Saint Jerome (340-420 AD) translated the Bible into Latin, then the language of the common person. “It was by the apostolic Tradition that the Church discerned which writings are to be included in the list of the sacred books. This complete list is called the canon of Scripture. It includes 46 books for the Old Testament (45 if we count Jeremiah and Lamentations as one) and 27 for the New. The New Testament: the Gospels according to Matthew, Mark, Luke and John, the Acts of the Apostles, the Letters of St. Paul to the Romans, 1 and 2 Corinthians, Galatians, Ephesians, Philippians, Colossians, 1 and 2 Thessalonians, 1 and 2 Timothy, Titus, Philemon, the Letter to the Hebrews, the Letters of James, 1 and 2 Peter, 1, 2 and 3 John, and Jude, and Revelation (the Apocalypse). (Catechism of the Catholic Church, 120). “In the first three centuries, the exact boundaries of the canon did not constitute a pressing theological issue. Of much greater concern were questions like the manner of inclusion of Gentiles into the Church (Acts 15), the relationship of the Law to salvation in Jesus Christ (Romans; Galatians), and maintaining the visible unity of the Church (see 1 Clement and the Letters of Ignatius of Antioch). The second and third centuries witnessed frequent persecutions of the Church that threatened her very survival. This probably explains why it is not until after the legalization of Christianity by Constantine in the early fourth century that we begin to have extant lists of the canon from various Church fathers and Councils. By the end of the fourth century, the Churches in communion with Rome settled on the canon recognized by the Catholic Church today, as can be seen from the Councils of Rome (382), Hippo (383), Carthage (397; 419), and by St. Augustine.” (Source: Saint Paul Center for Biblical Theology). Adult Bible Study meets weekly at 1:15pm on Tuesdays in the Faith Formation Library. Call the main office at 989-835-7121 for more details or check the Calendar for the current schedule. Seasonal Women’s Scripture Study is offered on Tuesday mornings, 9:30am-11:30am. Call the main office at 989-835-7121 for more details or check the Calendar for the current schedule. Mom’s Bible Study meet Wednesdays after 8:30 a.m. Mass in the basement of the parish center. Children are welcome! Contact Katie Lyon at katie.lyon@outlook.com or 575-640-6235. 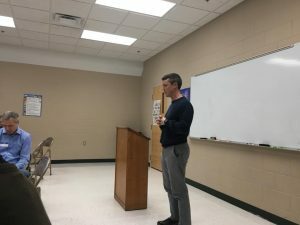 TAP (Theology and Prayer) is an adult men’s group that meets each Tuesday night at 9:00 p.m. at Saint Brigid Church and prays over the upcoming Sunday Gospel via Lectio Divina. Fellowship follows at a local pub. Contact Clinton Whiteley at clintonew@gmail.com for more details. Dr. Toby Long, our first Couple’s Night Out Speaker, sharing his story of conversion to the Catholic Faith. Join Saint Brigid as we enjoy a quarterly Mass, meal, engaging Catholic speaker, and FREE childcare! Please RSVP to Krystal Gipson, pkgipson@hotmail.com or 989-430-9942. March 31, 2019 – Sr. Yvonne Mary Loucks, RSM serves her community in Alma and is part of the pastoral team at the Cathedral in Saginaw. Sr. Yvonne Mary has many stories to share from her time in Rome working closely with Saint John Paul II, a true champion for the Domestic Church! June 9, 2019 – Fr. Andy LaFramboise is completing his studies at the Pontifical John Paul II Institute for Marriage and Family Life this spring. We look forward to him sharing his learnings and passion for the family when he returns home! Stay tuned for a New Evangelization initiative that will meet the needs of the whole family at Saint Brigid, coming soon!